Gold Case from Unused is a unique tablet designer case compatible with all Apple tablets including the iPad, iPad 2, and the new iPad. Crafted from dismantled corduroy menswear, the case combines one-of-a-kind style with everyday functionality and decent protection offered by the tough fabric material. 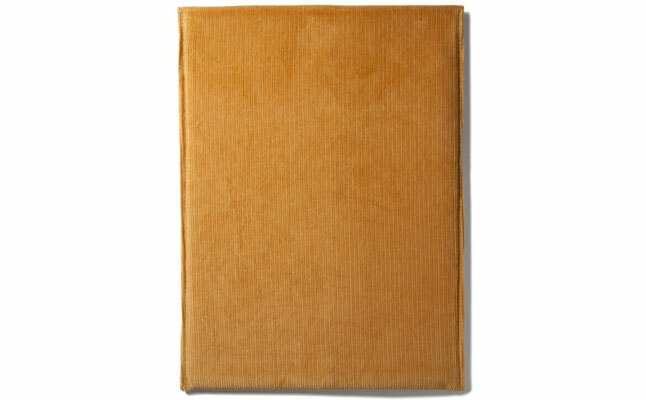 The Apple iPad case is designed and manufactured in Japan, blending together only the best from fashion and technology worlds. The tablet envelope design of the Unused Gold Case attracts with its simplicity and functionality keeping the device well-protected, but at the same time reachable within seconds. The Apple iPad 2 case comes with classic string and button closure, which keeps the case securely shut when not in use and the contents within at all time. 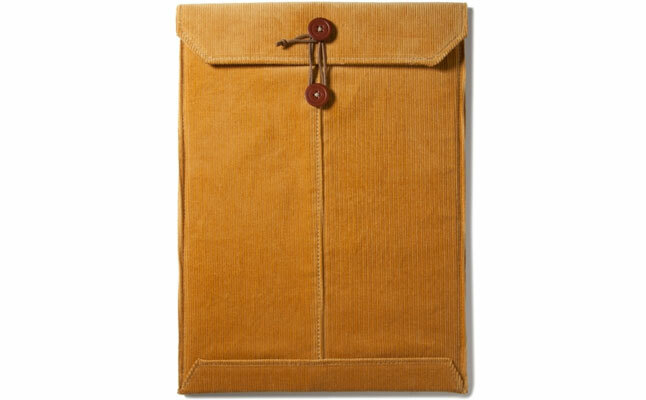 The new iPad case can be purchased in dark brown, gold, dark navy, and black colors. The price for this case is $83.